Convini offers companies their own grocery store at work in the form of a refrigerator and freezer solution. DING has been working with Convini since 2013 when we launched the company's mobile applications for iOS and Android. The solution made it possible to replace the physical plastic card with a digital card in the app. The app also includes offers, purchase information, and functionality to wish for goods. The app has been greatly welcomed and is continuously being developed with new functionality. 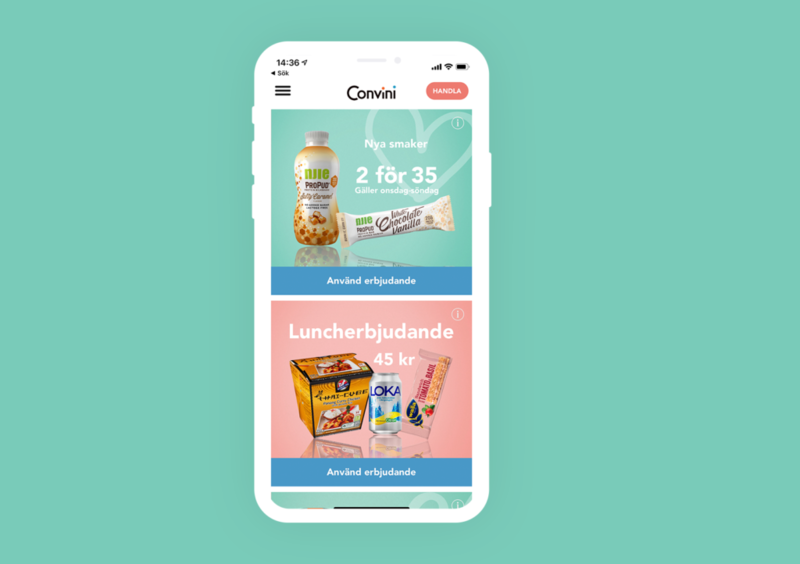 The app has been greatly addition to Convini's users and a majority of which have switched from the plastic card to the app. Another positive effect is that the apps offers in combination with the push notices have led to a clear increase in sales. Between the fridge and the freezer is the store's brain, the touch screen which is used to make a purchase. DING has developed this highly appreciated solution. 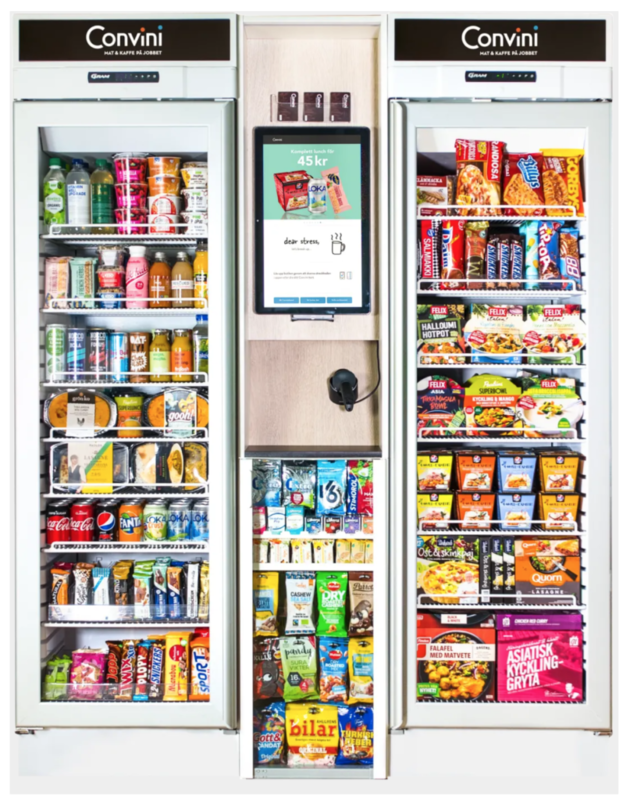 The purchase terminal contains everything from product information to offers and controls sensors to open and close the coolers and monitor its operation. The purchase terminal is now being rolled out to more than 1,500 stores, which makes it the country's most used solution for buying food and drink. © DING 2019, Skapad med på Långholmen.